When we decided to put the vintage cabinet in our master bedroom, I started thinking about what accessories to put on top of it. 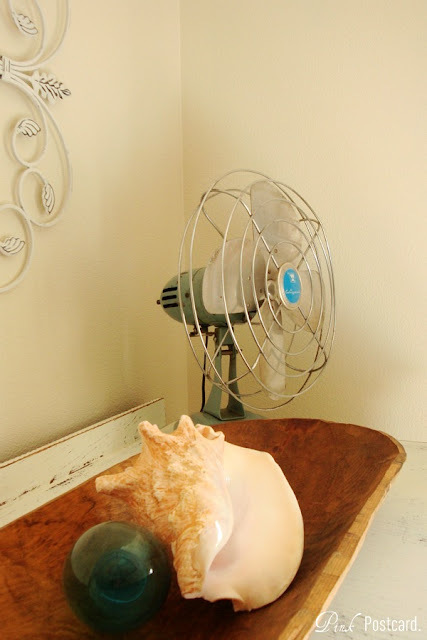 Immediately, I thought of a vintage fan in a beachy color. Not only was it exactly what I was looking for, but it works really well! I love the hum it makes when it's on. How about you? are you a 'fan' of vintage fans? I do love me a vintage fan. Especially the small black ones. I hope to find one more for a guest bedroom. The humm is the perfect dream machine. Oh I so wish I had my Mom and Dads old fans,they even had a floor model one!!! 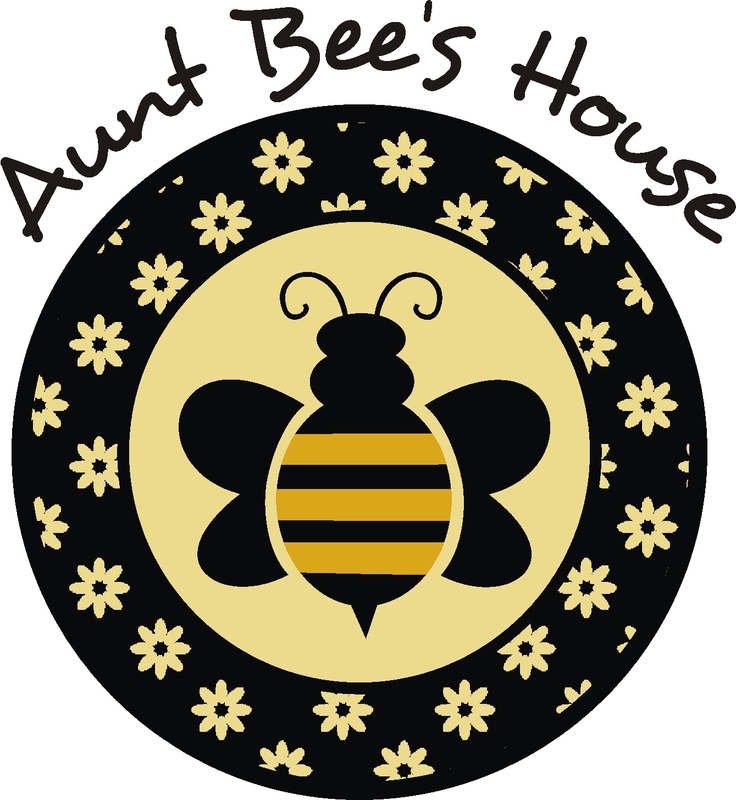 Great post,lovely blog! You have displayed it so nicely! I love it and the huge wooden bowl. Oh yes, i'm a total lover of vintage fans, your's is Wonderful! 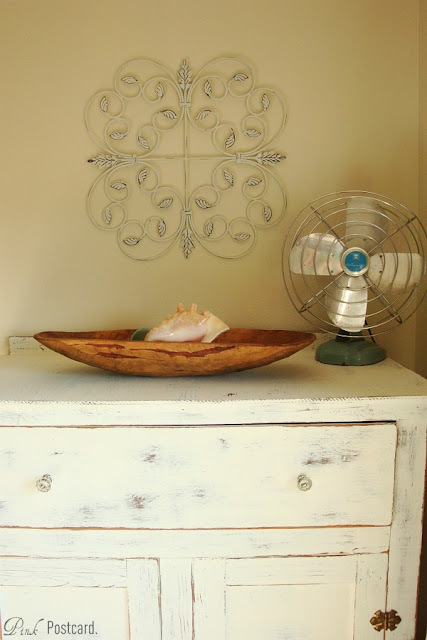 I love this vintage fan and the adorable corner you put it in. My sister found some vintage looking fans at Target and they are really cute but the old ones are the best! Definitely yes! Love them! I just bought my 3rd one this past weekend! They add a lot of character to any style. I've been meaning to write you. We found out that our puppy will need to be put down and it's been a hard past couple of weeks! Hope you are doing well sweet girl! Love looking over your posts. I don't get on blogger very often anymore.